It’s a treat! A candy meter is a measurement tool that kids think is cool. Halloween is still more than four weeks away, but kids who celebrate the spooky season already have visions of Halloween candy in their heads. Tempt their taste for treats by introducing your class to two Halloween-time measurements of success. 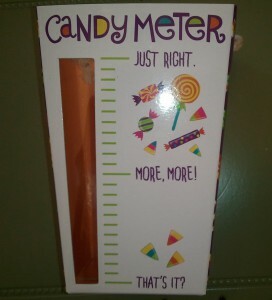 Check out the meter; it’s a kid’s best friend because the meter urges the meter-reader to keep adding more candy. The bottom line asks a big question: That’s It? The middle measurement begs for more, more candy. Top line in the Candy Meter is the measurement kids want to reach: Just right. Buy or make a Candy Meter for this catchy Halloween-time activity. Use my blog pic to guide you if you make your own. 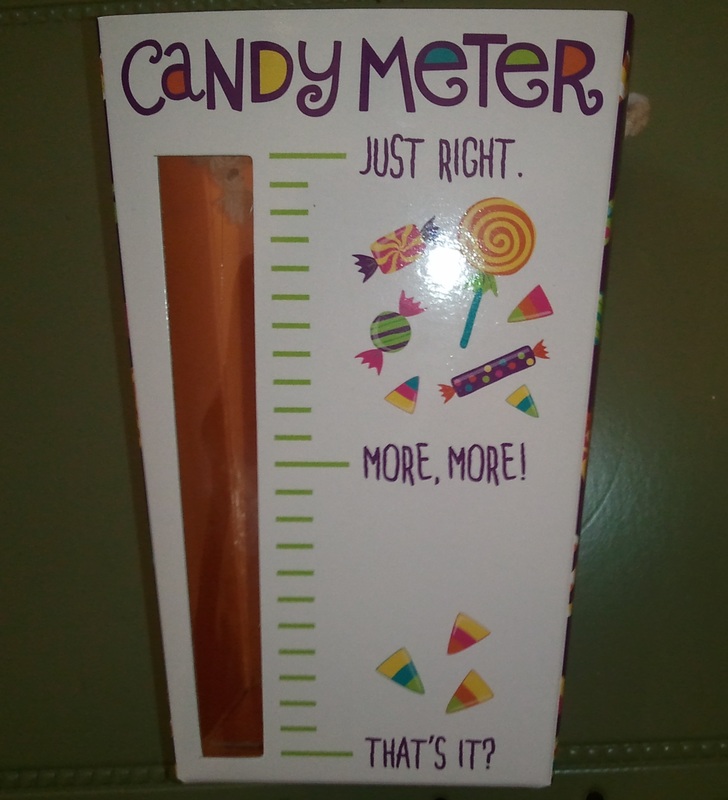 The Candy Meter is a cardboard box that’s open at the top. A strip of cardboard has been cut out and a piece of orange (clear will work as well) cellophane has been taped or glued inside the box to cover the cut out space. Lines on the front mark measurement levels, and as you can see, the lowest line, a middle line and the top line have phrases that make kids smile. Before you introduce the Candy Meter to your class, lead into the activity with a brief discussion about the many ways people make measurements, including measurements of success. Name a few measurements to get kids thinking. For example, utility companies measure electrical usage in schools. Month to month, the electric meter shows more, less or the same use of electricity. Children’s height and weight is measured each year to indicate how they are growing. Tests in math, reading, spelling, etc. measure how well students are mastering skills. When you bring the discussion around to measuring success in school, tell the class that you have another kind of Halloween-time meter to share with them. Tease them by explaining that you need them to become meter readers. A teacher’s trick: Introduce students to a poster that asks them to be an Attention-Meter Reader to measure how well they stay focused and on task in class. Check out the poster here that encourages students to track how well they’re paying attention in school. 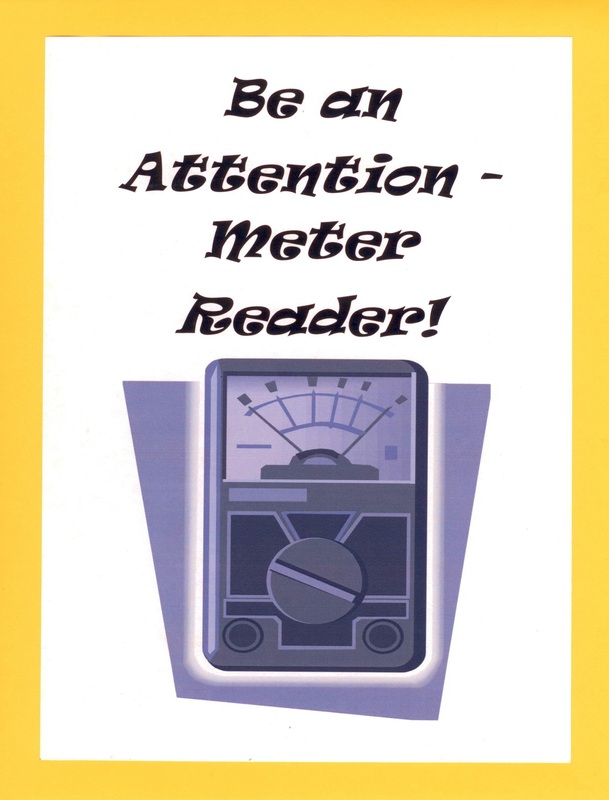 Make a Be an Attention-Meter Reader poster to show the class as part of this activity. Copy my poster or use other online resources. Remind the class that as one example of measuring, you’ve already discussed how utility companies read meters to measure electrical usage. Ask who remembers what comparison is made month to month. Answer: Is the electricity usage this month more, less or the same amount as previous months? Explain that you want students to treat their capacity to pay attention as a valuable resource, like electricity. Make the connection between measuring at a high level in focus skills and testing with success in different subjects, like math and reading. After leading this catchy Halloween-time activity attach your Be an Attention-Meter Reader poster to the center of a bulletin board. Invite students to add post-it notes they write about smart ways to pay attention around the poster. 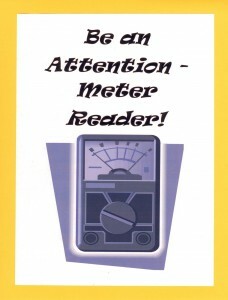 Periodically review the attention tips that surround the Be an Attention-Meter Reader poster. Measuring success is a year-round activity that will sustain concentration on the importance of staying focused and on task in class. Please send comments about how you use meters as teaching tools.